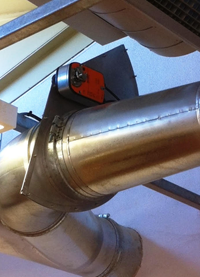 Over the last 20 years Ezi-Duct has carried out hundreds of projects in Schools, TAFE Colleges , Universities, Welding Schools, Men's Sheds and other Training facilities suppling its Dust Collection & Fume Extraction equipment for air filtration. Our products are energy efficient, easy to operate and provide exceptional performance. Ezi-Ducts products are designed and manufactured with decades of industry experience. Ezi-Duct and its associated company Polex Environmental Engineering employ many qualified Australian engineers & trades people to ensure our equipment is the best available. In our 20th year of trading we are very proud to be Australia's leading & largest company in the field of Dust Collection and Fume Extraction equipment. When dealing direct with the designer & manufacture our clients also enjoy large savings buying the best value equipment for money on the market. All our Dust Collectors offer fully automatic self cleaning filter bags made from top quality filter medium. The Dust Collectors can be placed out doors or can be disassembled to fit into small plant rooms. We also manufacture modular ducting with the best airflow on the market. It can also be pulled apart if blocked. All other components required are also supplied by us including top quality PU flexible ducting and we can fabricate any hoods that are required for the machines connections. Ezi-Duct offers the total solution. We offer several types of Ezi-Arm Fume arms, 3 models of eMission Control portable extraction units . 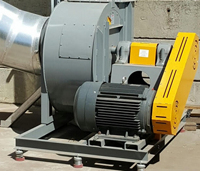 We also offer fixed fume extraction systems & self cleaning filtration systems.